Courses are held Monday, Tuesday and Wednesday beginning at 6.30pm and Sunday with courses beginning at 10am and 2pm. Running for approximately 2.5 hours the course covers firearms areas such as how to safely handle your firearm and ammunition, transporting and storage of firearms and firearms legislation in NSW. All participants must be aged 12 years or older to complete the course. Minors must be accompanied by a parent or guardian. 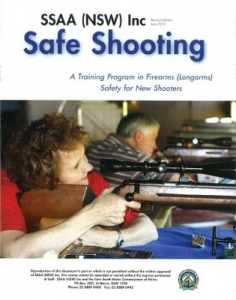 The SSAA Safe Shooting Course at St Marys Indoor Shooting Centre is open to NSW residents only and photo ID is essential. Participants will also be required to complete a P650 legal declaration. You can make a booking by calling 02 8889 0406 during business hours. Please note a credit card is required to secure your place. Cancellations made with more than 7 days’ notice will receive a full refund. Please note that a refund request must be received in writing for a refund cheque to be issued. Rescheduling with more than 7 days’ notice will be accommodated where possible without further charge. Cancellations or rescheduling with less than 7 days’ but more than 48 hours’ notice will attract a $50 non-refundable fee per person. Cancellations made with less than 48 hours’ notice will result in a loss of your booking. Rescheduling cannot be accommodated with less than 48 hours’ notice.